Dry yeast for home brewing is sometimes maligned and often overlooked. Many years ago when I started home brewing, the quality of dry yeast included with many prepackaged kits was poor. However much has changed, and now home brewers have dry yeasts available to them that are just as good as liquid yeast. So this week we take a look at some of the advantages of dry yeast, as well as how to brew with it. Back in the late 80’s, there was only one option for yeast – dry packets. As we entered the 1990’s, high quality liquid yeasts entered the market for average home brewers from companies like Wyeast and White Labs. As time went on, liquid yeasts took over, offering a wide variety of yeast strains packaged in vials or smack packs. While many beginner kits still use dry yeast, many serious brewers use liquid yeast exclusively. Dry Yeast Stores Better – Liquid yeast loses about 20% of its viable yeast cells every month, which means the shelf life for an average vial or yeast packet is approximately 6 months. Dry yeast typically loses 2% or less of its viability every month, which means that if the packet is stored properly in a refrigerator you can store it for a year or two. No Starter Needed – Because liquid yeast does lose viability pretty rapidly, you will often need a starter to reach your target yeast pitch rate. Dry yeast requires no starter at all – you can just hydrate it in lukewarm water and then pitch it. If you need extra yeast, just buy two packets. This can be a huge advantage if you don’t have time for the starter or decide you want to brew a batch on the spur of the moment. Less Expensive – Quality dry yeast can be found sometimes for half the price of a comparable amount of liquid yeast. Since it stores well and is inexpensive, I’ll often keep an extra packet or two on hand for those times when I don’t have time for a starter or extra trip to the store. On the downside, there are not as many varieties of dry yeast as liquid yeast available, so it can be difficult to match some rare or style-specific yeasts. For some specialty yeasts there is really no good alternative to liquid yeast strains. Dry yeast has approximately 18 billion cells per gram of yeast. Dry yeast packets typically come in two sizes. The 5 gram (smaller) packets have approximately 90 billion cells, which is comparable to a recently purchased liquid yeast vial or large smack pack (each at 100 billion cells). The larger 11.5 gram dry yeast packets have approximately 207 billion cells, which is more than enough for a typical 5 gallon (19 liter) batch of ale with no starter. If you are brewing a lager you may need a second yeast packet – as lager requires about twice as much yeast for a comparable size batch. Using dry yeast could not be easier. Hydrate the yeast in a half cup of lukewarm water (not too hot) for about twenty minutes while your wort is cooling, and then pitch it directly into the wort. Dry yeast requires minimal prep time – which is why its perfect for those last minute brews. Do you need to boil your rehydrating water first to sterilize it? And cool it down afterwards, obviously. I don’t personally boil my water – though I do use distilled water. And dry yeast is gluten free. A big advantage for the gluten free beers I brew for my wife. Hoping to experiment soon with getting more esters from dry yeasts as well as blending different strains. I just sprinkle the dry yeast over the top of my wort directly and let it rehydrate for ten minuets and then stir it in. Have yet to have any problems. Not to be nit-picky, but I believe Safale is one of the brands of dry yeast offered by the company Fermentis (along with Saflager, Safbrew, etc), just as Danstar is the brand of dry beer yeast offered by the company Lallemand. I will simply make sure that I either use one of the 11g packets or two of the 5 g packets. Thanks Brad! Oh, and I don’t bother with lagers – takes refrigeration I don’t have! I have tried to get a good wheat beer with wb 06 (dry wheat beer yeast) with not much success. 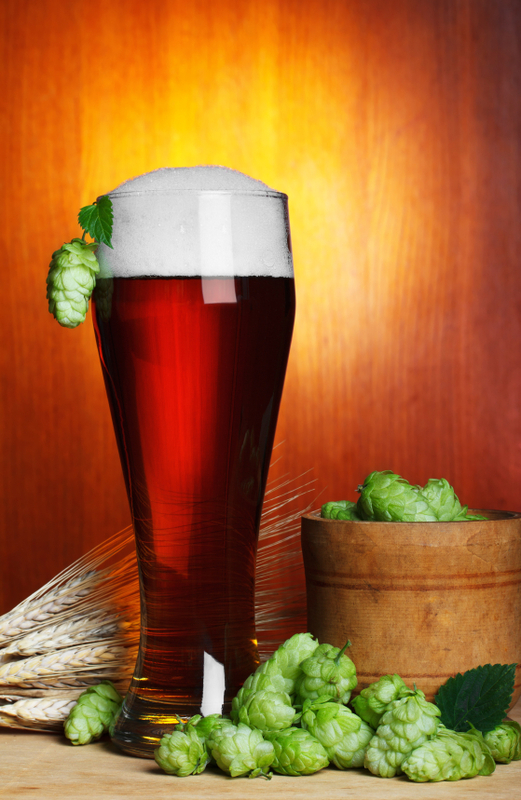 Is there a very appropriate yeast for wheat beer? Can you over yeast a bone brew… I followed the instructions on how to make the batch with a can of bing cherries, but I used two cans (with the one can of Mr beer mix)… And I added extra sugar and more water, plus a lil bit off honey so I could get a bigger batch… But will the addition of more yeast ruin the whole thing, or will the addition of extra water, extra can if cherries, and more sugar, just balance it all out as if the original mix and recipe was just bigger… It did I screw myself and ruin the whole thing??? Fruit is mostly sugar – and you added more sugar so you are going to have a very highly alcoholic beer. This may throw the balance of the beer off if you are not ready for all of that alcohol. Hard to say without the recipe. In any case I would certainly ferment it out and let it age (fruit takes time) before drinking it! What is the source of the statement “Dry yeast packets … contain about 18 billion yeast cells per gram”? The spec sheets for Danstar, Saflager W-34/70 and Safale US-05 give cell counts of 5 billion or 6 billion cells per gram which is a huge variation from the 18 quoted above and configured as the default for these yeasts in BS. What’s up with that? How can I display dry yeast needed in report (brewsheet)? I have the same question that Rusty posted. Spec sheets of Fermentis yeast indicate 6 billion per gr but you mention 18 billion per gr. I used beer smith yeast starter calculator using as parameters type Ale, gravity of 1.040, dry yeast and 5 gallon batch. The calculator indicates I need 141.4 billion cells and that I should use 27.51 grams of dry yeast. 141.4 divided 27.51 is 5.1 billion per gram which is similar to the spec of the Fermentis yeast but far from the 18 billion. Even so, if I look into the “Yeast starter Settings” I see the calculator is using 18 billion per gr as parameter. Can you help me with the math here? Brad, you might want to double check your info. Fermentis and Lallemand say their packs contain 5-6 billion cells per gram. That puts the total cell counts at 55-66 billion per package, far less than what you state.